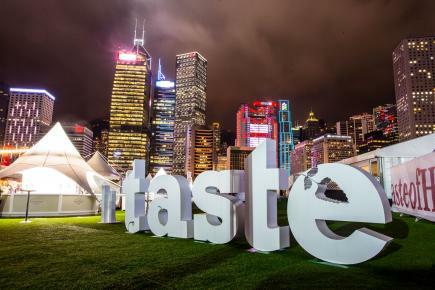 Presented by Standard Chartered, the second edition of Taste of Hong Kong is ready to serve up the ultimate menu from Hong Kong’s latest and hottest restaurants. With 10 Michelin stars on the line-up, chefs have outdone themselves using premium, high end and exclusive ingredients in a variety of cuisine styles – from Japanese to French, Cantonese to Italian. 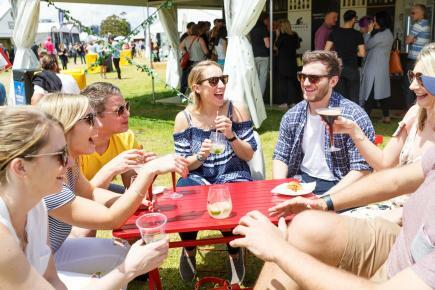 Coming off an incredibly successful inaugural event last year, the event is back and 25% bigger with a fresh new lineup of restaurants, chefs, artisan producers and culinary experiences to enjoy! All set against the stunning backdrop of the Hong Kong skyline, the event start this Thursday, March 16th till March 19th at Central Harbourfront. 1.How would you describe the food/dining scene in Hong Kong? Hong Kong is a melting pot of cuisines. There’s so much energy and enthusiasm around food. It’s such a great dining culture with high quality chefs and restaurants. Food is a universal language in Hong Kong. 2.With so many options, how did you select the participating restaurants? The selection process for restaurants is a collaborative and editorial one – we speak with food writers, critics, Chefs and foodies of note to compile a “hit list” of restaurants. We then invite restaurants to participate. This process is the same for Taste Festivals the world over. We want to have the latest, greatest and hottest restaurants involved in the event, so it’s important to keep our ear to the ground and our finger on the pulse of the local dining scene. To ensure we have a Gourmet Market that allows visitors to discover, we make sure we put ourselves out there and search for rare artisanal producers that speak premium quality. We basically build a dream shopping list and look for the people that fit the bill. We also like to introduce new trends and rare brands to the city. 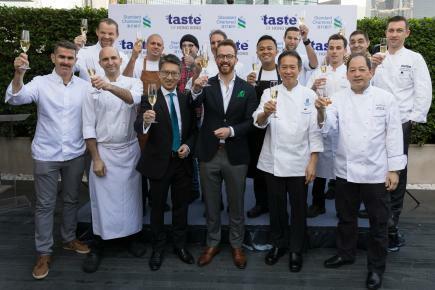 Taste of Hong Kong is the first of IMG’s Taste Festivals in Asia and the response has been incredible from the Foodie community last year. 3.When you select the restaurants, do you think about vegetarian options? It’s not our first consideration but we are seeing more and more restaurants make a choice to offer a vegetarian dish. Arcane for example does a meat free menu once a week in the restaurant, and are offering a Japanese Fruit tomato salad at the event. I think vegetarian dishes are no longer reserved for just vegetarians, people who love great food have no problem picking a meat free option if the dish is appealing. 4.Does the festival have more healthy options comparing to last year? Healthy food is not top of our priority list, we do edge towards the side of indulgence at Taste – its only once a year! There are some lighter options available at the event but the whole experience is geared towards being a treat, so perhaps people should use their ‘cheat meal’ here! 5.How do you feel about sourcing healthy food in Hong Kong? And what is your favorite healthy restaurant in Hong Kong? It can be difficult to get good healthy clean food in HK, you need to know where to look.Two of my favourites are Grassroots Pantry for breakfast – I get the Avo Eggs or the Acia Bowl, and Sohofama for lunch of light dinner; the stirfried broccoli and the Xiao Long Bao or Aussie Beef are all great. 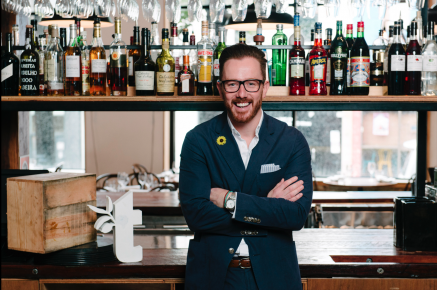 There are many learning opportunities for anyone who enjoys food, discovering new ingredients, cooking techniques and tasting new wine, spirits, beers and champagne. • Laurent Perrier interactive pairing sessions with delicious Valrhona Chocolate and caviar from Emporio Antico. • Learn about Natural wine at La Cabane with their wine and cheese masterclasses.